Facebook, Twitter, and Youtube. These are the “Big Boys” when it comes to social media in today’s world. And they’re the ‘Big Boys’ when it comes recruiting videos as well. Nearly everyone uses them to get the latest updates on what people are doing, where people are, and which events we should pay attention to. The easy accessibility of these social media outlets provides All Star Video Sports recruits some great opportunities and the highest possible exposure of their respective skill sets to the masses, most importantly, coaches. Over the past few years, big changes have been made concerning the promotion of high school athletes. When social media began to burst onto the scene, All Star Video Sports had to make sure that we were prepared to change the way we did business in that regard. This is still shown today in our shift from providing recruits only dvd’s of their final recruiting video product. We still provide each recruit dvd’s today, but each athlete is also given a web-friendly video file as well as a youtube link. This makes the transferring of recruiting videos exponentially easier for all parties involved. College coaches and teams are able to see our recruits through media outlets such as Youtube with a click of a button. Through our Youtube channel, we are able to post as many videos of our recruits as we want, providing coaches everywhere the best video of our athlete’s that is readily available. Facebook and Twitter are also useful tools in athlete promotion. 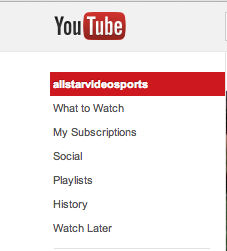 After a recruiting video is uploaded to Youtube, All Star Video Sports also posts each player’s recruiting video to these accounts. Hundreds of people are notified of each athlete’s personal video, and can post or retweet the same video to hundreds of additional people they are acquainted with. This makes the word spread quickly about a player without an actual word being spoken; pretty amazing. 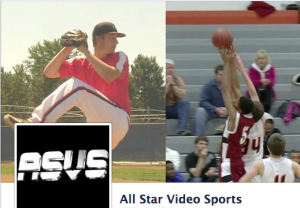 We strongly urge all athletes that utilize All Star Video Sports to “Like” us on Facebook and “follow” us on Twitter. This way the athlete’s network grows even more. The passage of time surely will bring changes to the way our business utilizes social media. New technology will emerge and people will change the way they do things. No matter what changes are ahead in social media or video streaming, you can bet that All Star Video Sports will be out front, helping its recruits and their families in the recruiting process.